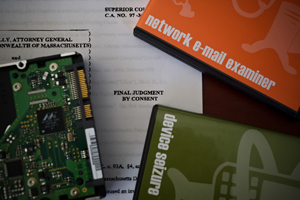 Maragell assists law firms with electronic data collection and recovery services. We help assess where data is stored in a client’s organization, and provide advice with drafting electronic discovery requests and subpoenas to ensure all evidence is produced as well as ensuring that opposing counsel is properly complying with the request. We use a variety of software programs to conduct our forensic activities including Guidance Software (Encase), AccessData (FTK), Macforensicslab, Aid4Mail, Paraben’s Device Seizure, Intella, Network E-mail Examiner, and Metadata Assistant. We also utilize a variety of write blockers to preview and image drives and can handle a number of acquisitions simultaneously both in the field and in the lab.